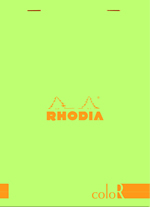 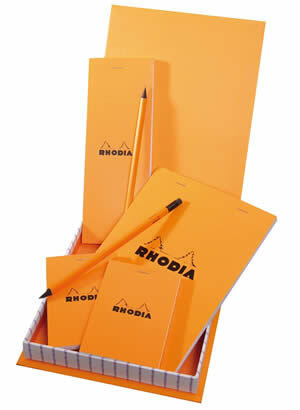 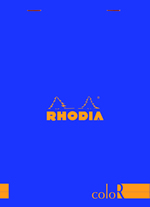 These Rhodia boxes are deceptively simple! 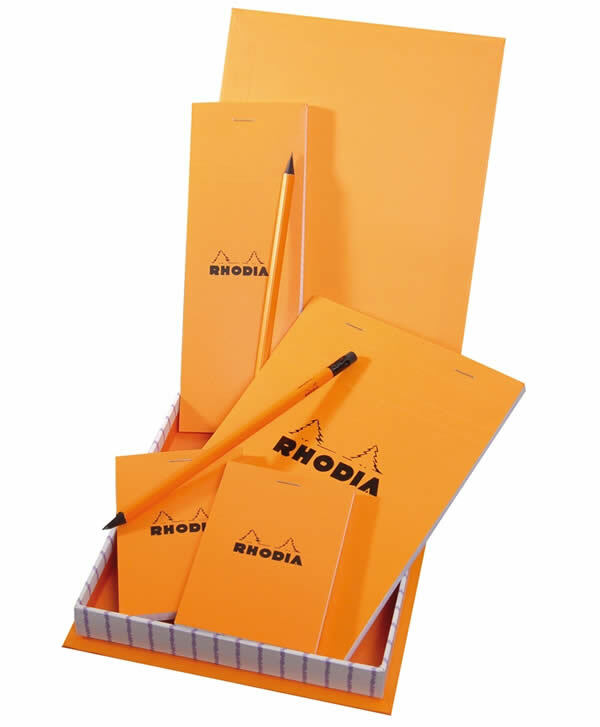 Under the cover of these boxes hides matching color notepads of various sizes and two Rhodia pencils. 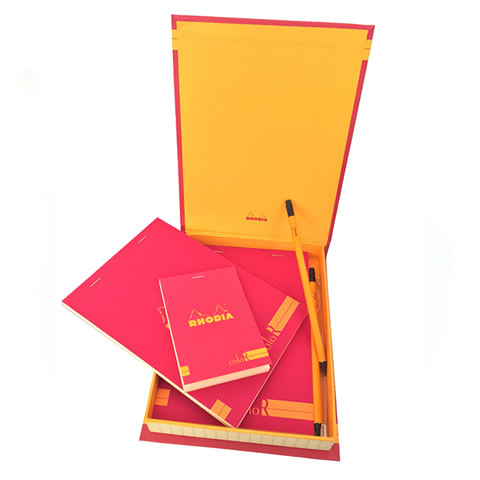 A clever and sturdy box, fun, practical and makes a great gift! 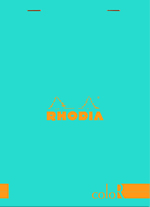 Available in original orange and now seven additional colors: taupe, anise green, turquoise, sapphire, purple, raspberry and poppy. 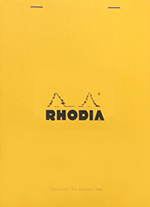 Box size: 7" x 9" x 1"